in music ranging from folk to reggae to rock to ambient electronica is reflected in Rakkatak’s self titled CD; an album conceived in studio. From there, the band Rakkatak was formed and its evolution continued with the release of their second album “Open” produced by Anita and fellow band member Oriana Barbato. They have just finished producing their third album “Small Pieces”, to be released on April 14 2017. 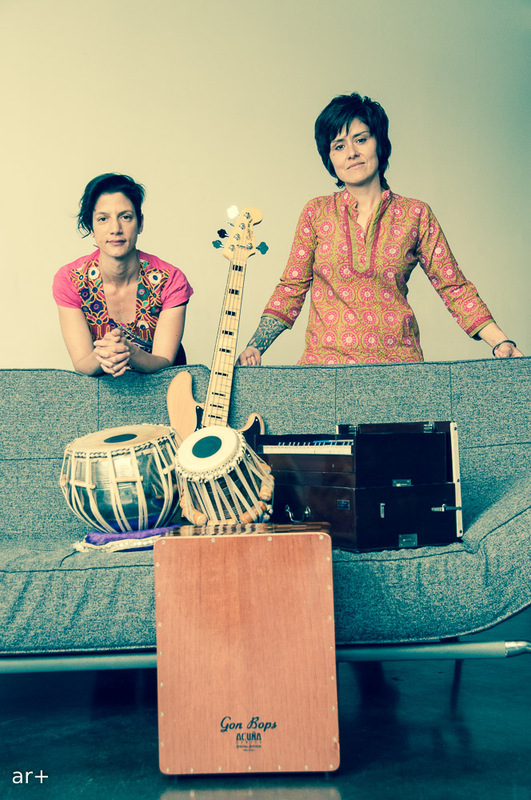 Featuring tabla player Anita Katakkar, bassist Oriana Barbato and sitarist Rex Van der Spuy, this band’s multi-faceted creativity and eclectic musicianship combust on stage to create a unique, coloured and intoxicating vibe. In the market of Jodhpur, India, among all the overwhelming sights and sounds spread out below Mehrangarh Fort, sellers display textiles with their brilliant colors and designs, often so perfect in their imperfections. They caught the eye of Anita Katakkar, the tabla-playing leader of Rakkatak, as she visited, and the beauty of the fragments of cloth she saw gave her the title of the band’s third album. Small Pieces (released April 14, 2017) is, she says, a collection of the stories they’ve absorbed along the way. Based in Toronto, Canada, Rakkatak began as a solo project in 2009 for Katakkar, working with her tabla, a laptop, and a sequencer to create a highly personal mix of classical Indian music and electronica. But with the addition of bassist Oriana Barbato and sitar player Rex Van der Spuy, Rakkatak’s focus shifted a little, making music whose heart remains grounded in the Indian tradition, but whose head is firmly fixed in the 21st century. 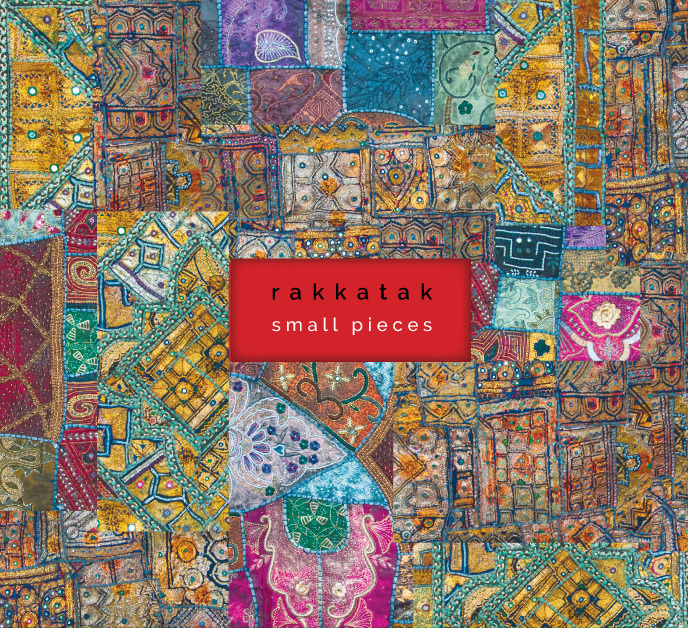 And with Small Pieces, Rakkatak tells some surprising, often gorgeous and heartbreaking tales. “Eesha’s Song” was written as an elegy to a friend’s daughter who passed away before she was two years old. 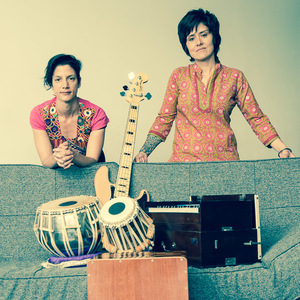 The tabla solos, Katakkar notes, “were inspired by running up a big hill and barely being able to keep up, sort of like Eesha's heart.” “Rain After The Fire” came from watching coverage of the terrible fires that devastated Western Canada during the Summer of 2015, while “Thoughts Of You” was composed with vocalist Samidha Joglekar. The album closes with “Riffing On 9,” a solo piece that harks back to Katakkar’s early recording days, working with just tabla and laptop, her nod to the Asian Underground movement that helped inspire her on this path. It has a groove, and for Katakkar, the music is all about the groove. That’s at the core of everything she plays and writes. “When I compose, I start with the taal, or time cycle. I’ll think about the mood and the melodic aspects, then figure out the mode and make a rough recording using a keyboard.” From there, the band works on the arrangements, building each track before going into the studio. Recording Small Pieces took over a year, bringing in a number of guests to achieve the sound Katakkar heard in her mind. Even then, there were surprises. “The solos – the features – were all recorded live,” Katakkar recalls, “so I never knew quite what to expect. But that’s the beauty of music. It’s Indian classical music refracted through a Western prism, a synthesis of ideas that capture the best of both worlds with the kind of deep, open emotion and warmth that’s removed from the austere edge of most classical music. In the market at Jodhpur, they display the cloth, exactly the way they have for centuries. And in Toronto, Rakkatak have their Small Pieces, every one of them a gem.